Ukraine’s biggest store selling outfits and accessories made by local producers, Vsi Svoi, opened in central Kyiv this week, according to the Kyiv Post. 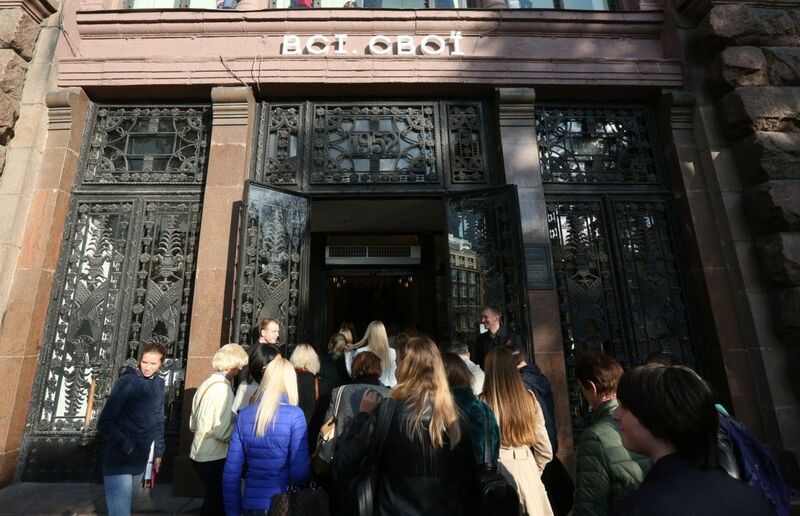 The store, at 27 Khreshchatyk St., opened in the premises of the former Grand Gallery premium clothing store. The store’s three floors stock around 150 Ukrainian brands of clothes, accessories, bags, lingerie and shoes, the Kyiv Post reported. All of the Ukrainian-made items were selected up by the store’s owner, Anna Lukovkina, the founder of the Vsi Svoi market, which is held in the city’s D12 Gallery once a month. With Ukrainian-made goods proving popular after the EuroMaidan Revolution, Lukovkina decided to gather them all together in one place. Read alsoKyiv authorities ban sale of alcohol at night"People are often surprised by the quality and quantity of Ukrainian-made clothes, and their uniqueness," Lukovkina told the Kyiv Post. She said that only the most popular brands on a market, made by those who make clothes for a living rather than hobbyists, won spots in the store. Once a brand has launched its own mass production, she said, they tend to make clothes of good quality at reasonable prices. With the opening of the store, the market will now focus on young designers who are just presenting their first collections.